Nestle’s sale of an 8 percent stake in L’Oreal to the French cosmetics group marks a fundamental reset of the duo’s relations. The French get more freedom; the Swiss, cash and some assets. Nestle may describe its reduced holding as “strategic”, yet looks, long term, like a seller of more. But keeping a 23 percent investment gives it the option to reverse course if it wishes. The 6 billion euro deal ends the uncertainty that began when Nestle said it would not renew a shareholder pact with the Bettencourt Meyers family behind L’Oreal, which will expire in April. And it is structured not to stretch L’Oreal’s finances. Nearly half will be funded by handing Nestle its 50 percent stake in Galderma, the duo’s dermatology joint venture. The rest will be paid in cash. Had Nestle wanted to sell more, that might have forced L’Oreal to dispose of its 8.5 billion euro stake in Sanofi, the pharma group. L’Oreal has long said it is not for keeps, but a three-way deal would have been more difficult to pull off quickly. Still, the new, shrunk-but-strategic status of Nestle’s holding in the perfume and shampoo-maker is puzzling. With a smaller shareholding, and two directors instead of three, Nestle will have little influence over L’Oreal’s future. It has handed control to the Bettencourts, whose holding, after cancelling the acquired shares, will near the 33.33 percent threshold that would require a tender offer. The Swiss giant seemed eager to sell, considering the hefty price agreed for the Galderma joint venture, valued at nearly 23 times last year’s EBITDA, according to Nomura. L’Oreal becomes more of a family group just as a new generation is taking charge of the Bettencourts’ affairs. Its capacity for further buybacks will be limited by the mandatory-offer threshold. Nestle’s 40-year partnership with L’Oreal has entered the beginning of its end. Unless the Swiss confectioner’s strategy changes again. 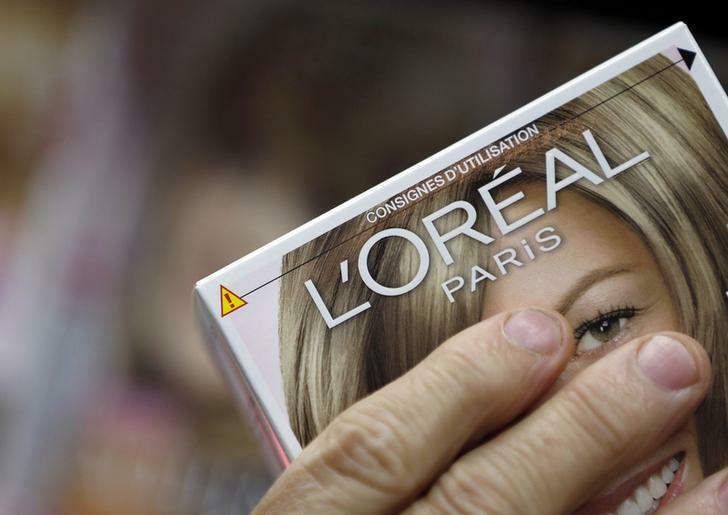 A customer holds a L'Oreal cosmetics group product in an supermarket in Lanton, Southwestern France. L’Oreal, the French cosmetics group, agreed to buy back 8 percent of its shares from Nestle, in a two-part, 6 billion euro transaction. Nestle will swap 21.2 million L’Oreal shares, valued at 2.6 billion euros, for full control of Galderma, a 50-50 dermatology joint venture, and sell back a further 27.3 million L’Oreal shares for 3.4 billion euros in cash. The agreement, announced on Feb. 11, is based on L’Oreal’s average closing price for the last three months of 124.48 euros.